If you don’t follow rally racing, then this would be a good time to start. These are the events that rally fans dream about. A final championship battle that wages between great competitors who are willing to go flat out and not conserve anything to be crowned champion. Mother nature threw a bit of a curve ball preventing top speeds, but the battle continues with leaders barely ahead of their rivals. Hoonigan Racing Division’s Ken Block and Craig Drew started first on the road in wet slippery, or as he put it “sloppy”, conditions. Usually this is an advantage if things get rutted for those behind, but due to the sandy nature of the roads of the Upper Penninsula that didn’t happen. Instead Block was clearing the way with no brake points or driving lines to use as a reference. After the first loop of 3 stages, Block had a scant lead of 1.4 seconds over Subaru Rally Team USA’s David Higgins and Craig Drew. Block even extended that lead to 8.6 seconds after the second loop after Higgins had to slow down to drive over a small tree knocked onto the racing line by Antoine L’Estage who ran before him. Higgins was also slightly hampered by an interesting gamble in tire choice. The Subaru team had figured the roads would get muddier and rutted, so they used very narrow tire almost like they use in the WRC winter such as Sweden. Unfortunately for Higgins, the roads dried up in the afternoon more than anticipated and the narrower tires made the car move around a lot more. Block’s lead diminshed once darkness fell and that’s when Higgins attacked and finished the day with a 13.4 second lead. Neither has a big advantage as they both finished the day with 4 stage wins each and one tie. Unfortunatley the one local open class driver FY Racing’s Adam Yoeman is already out of the event with a blown engine. 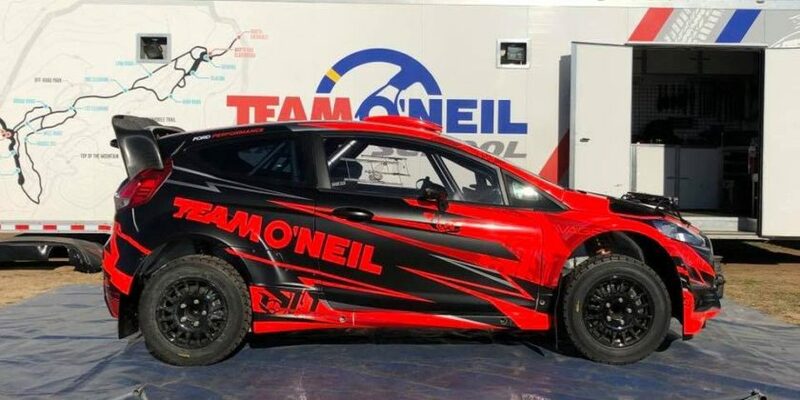 In 2wd the stage wins flopped back and forth all day long between Scion’s Andrew Comrie-Picard and Ford Team O’Neil’s Brendan Reeves. ACP has been super excited about the event because he was given a green light by Scion to go flat out the entire way. In this case the lead changed 3 times during the day with neither Reeves or ACP showing they had a clear advantage. At the end of the first loop, Reeves had a 3.9 second lead. At the end of the second loop ACP lead by 3.0 seconds. It was however the night stages once again that turned the tide with the lead changing back to Reeves with a slightly more substantial 13.4 seconds. This isn’t a typo, both Higgins and Reeves lead their championship rivals by the same 13.4 second margin. As far as stage wins go, ACP had five stage wins to Brendo’s four. Another interesting note here is just how hard these two are pushing. ACP and Reeves are sitting in 4th and 5th positions overall, ahead of all the Super Production class cars. One would think the 4wd SP cars would have an advantage with better traction, but the battle there isn’t as tight. Speaking of the Super Production class, the lead there changed a couple of times as well. David Sterckx has to finish this event to assure his championship title, but he wasn’t concerned since the Belgian is used to wet weather and has been waiting for conditions like this for the past two years. Be careful what you wish for though as Sterckx had a small off costing him some time but thankfully not causing any serious damage to the car. Dillon Van Way showed that he is quickly learning how to pilot his new 4wd Subaru WRX STi with 4 stage wins and leading the class by 20.3 seconds over Nick Roberts. Prior SP Champion Lauchlin O’Sullivan is 3rd 52 seconds back with Sterckx in 4th. 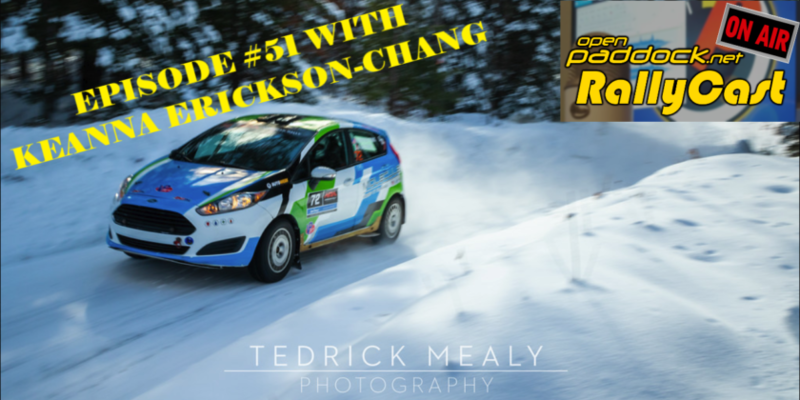 The battle rages on today with another 7 stages of rally madness! 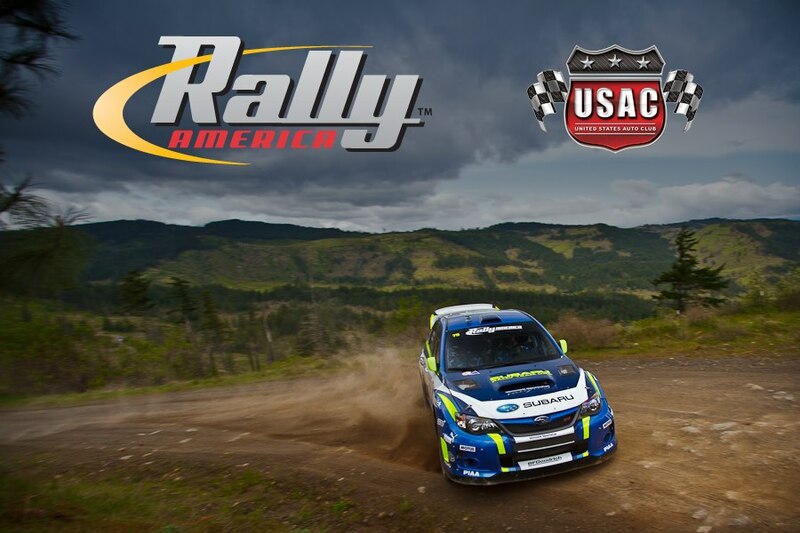 Follow @Rally_America on twitter or visit http://rally-america.com/events/2013/LSPR/results (http://m.rallyam.com for mobile devices) for the latest results information on this final fight for the championship. And yes honey…I am still staring at my phone! Going to be doing that all day today!